Enjoy getting into climbing with help from our experienced coaches. No partner, gear or experience necessary! The course runs once a week for four weeks. Check out the available start dates and book in! If you are just starting out as a climber, getting back into climbing after a long break, or simply want a bit of help improving your climbing, our Climbing 101 course is for you. In a small and social group, our experienced coaches provide you with knowledge and tools to improve your climbing. The course is run from 6.pm -7.30pm on the same day of each week. You are welcome to stay afterwards for more climbing too! The fee includes a full gear package for the four weeks. 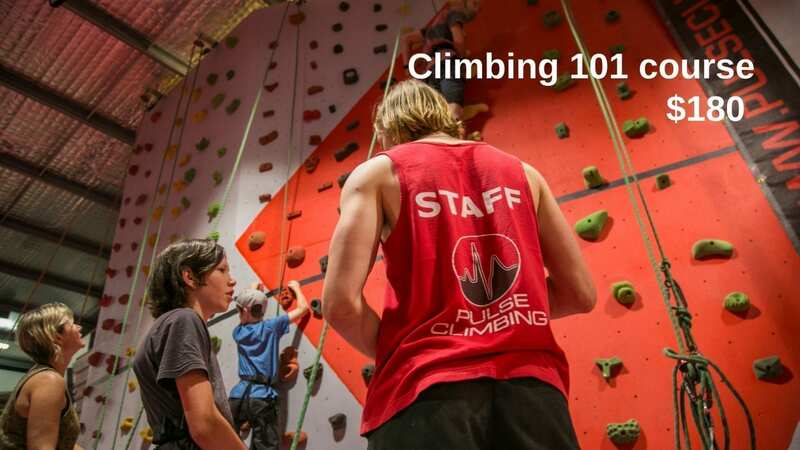 * If you are a Pulse Climbing member – book in at the front desk rather than online so that you don’t miss out on your members’ discount.